Is this your alleged MLM? TVI Express, aka Travel Ventures International, is supposed to be a network marketing direct selling company suspected by many to be an international scam. Here are sixteen questions you need to ask your upline if you are being recruited, or even AFTER you have been recruited. They will NOT make you very popular, as you are bringing doubt to the minds of the hopeful and the desperate. However, you are just looking out for yourself. Does TVI Express even HAVE a product? If there is a product, why doesn't TVI Express website have a product page? Why are TVI Express distributors confused as to what is the product? Some say the membership is the product. Some say the travel portal (i.e. Travelocity booking website) is the product. Some say the 7-day 6-night vacation is the product. Some say something else is the product. How can you make a proper evaluation of the opportunity if you don't even know what the product is you're supposed to push? Is it a travel club, or a business opportunity? QUESTION: Is TVI Express a travel club or a business opportunity? The website says business opportunity, but a lot of TVI Express distributors are claiming “travel club”. If you say both, please explain. FOLLOW-UP 1: If it is a business opportunity, why does the FAQ say "You are not required to sell any product"? Why are other distributors describing it as a travel club? UPDATE: In May 2011, "you are not required to sell" phrasing was removed from the website. However, TVI Express still does NOT explain what is it you need to sell. FOLLOW-UP 2: If it is a travel club, why does the FAQ say "You need to recruit two people, and teach them each to recruit two more people"? Why does website says it's an income opportunity? UPDATE: In May 2011, TVI Express removed this section from their FAQ, but their explanation in the "compensation plan" remains unchanged... you do need to recruit at least two people and have each of them recruit people to "fill" the board / matrix. FOLLOW-UP 3: If it is both, please explain exactly just how saving other people money will make me money, when nothing is sold according to company FAQ? WARNING: Watch out for "weasel answers". Basically, it is an answer that doesn't answer anything. It usually is a combination of buzzwords, like "it's a new type of entrepreneurship involving Internet and travel and network marketing". If it doesn't make sense, it probably is bull****. After all, in a business, you "buy low, sell high". If there's no selling, there is no business. Affiliate marketing is a marketing practice in which a business rewards one or more affiliates for each visitor or customer brought about by the affiliate's marketing efforts. Examples include rewards sites, where users are rewarded with cash or gifts, for the completion of an offer, and the referral of others to the site. TVI Express itself operates no travel site. It merely refers visitors to Travelocity. Thus, being associated with Travelocity / World Choice Travel conveys ZERO legitimacy to TVI Express. Any sort of implication that TVI Express had gone through some sort of rigorous screening process or paid some sort of bond to establish a travel business would be false. Furthermore, any claim of strategic alliance with any other company, unless established separately, would be lies. If they are using the "travel club" argument, and claim this travel portal will save you money, and thus is a real benefit, please keep in mind... Since Travelocity is FREE to use, this benefit is worth exactly ZERO. QUESTION: TVI Express claims to have “strategic alliances with some of the biggest names in the Travel world”. Can you name some of them? WARNING: They will likely name "World Choice Travel" or Travelocity. Go to wctravel.com, and see just what exactly do they offer, and whether that actually add any legitimacy to a place. Also see sidebar. FOLLOW-UP: Please describe the exact nature of this "strategic alliance" between TVI Express and World Choice Travel / Travelocity? WARNING:TVI Express is an AFFILIATE in the "Travelocity Partner Network". They are just reselling Travelocity stuff, using the Travelocity booking engine. If the upline claim the relationship is MORE than that, they are lying. FOLLOW-UP: Can you also explain why a Spanish newspaper is reporting that Lufthansa, Avis, and Marriott have initiated legal action against TVI Express for falsely representing them as “partners”? Lufthansa, Avis and Marriott, however, have taken legal steps for TVI falsely advertises with them as partners. Your logo will appear on company presentations, together with other reputable companies in the travel and tourism. FOLLOW-UP:The same article also said that Lufthansa have repeatedly sent letters to TVI Express, but the letters came back as undeliverable. Does that mean that the address given on the TVI Express website is fake? Lufthansa has with its sister company, Swiss, according to a spokeswoman, previously tried to warn TVI. "Unfortunately it was not possible to get hold of the company, since letters are returned as undeliverable." WARNING: The only "good" answer is "I don't know". If they dismiss the question as irrelevant, or NOT important, you should beware of anything they say. According to wikipedia, a virtual office is "a combination of off-site live communication and address services that allow users to reduce traditional office costs while maintaining business professionalism"
In other words, it is an address, where mail is received, and forwarded, and phone calls automatically forwarded elsewhere. No real person is at that location. It is done so the company can look a lot more professional than it really is. The address that TVI Express gave, right on their front page of their website, at the bottom, is in Cyprus (which is a little Island off coast of Turkey, very close to Lebanon). The question: "Can you explain WHY when I plug in the Cyprus address into Google, I get at least three other businesses at that EXACT SAME address, no suite number difference, no room number difference, but the EXACT same address? To me, the simplest explanation is that it is a virtual office, but I want to hear YOUR explanation." WARNING: If they dismiss the question, with excuses like "does it matter where they are as long as you get paid?" Their motives are suspect. If TVI Express is NOT really in Cyprus, then where is it? Where are its employees? Corporate officers? Where is their REAL OFFICE? Why is that not important? EXPLANATION: A virtual office is an address, but with no real people in the office. The real people are elsewhere. A company can look much bigger than it is by having a virtual office in a famous building, and unless you check closely, you'd think they're more prestigious than they are. It is also a good way to make the company highly secretive, and hard to investigate. Google Maps says TVI Express location is occupied by Regus, an office and virtual office provider. TVI Express claim to be "headquartered in London, UK", yet the only address they gave in the UK is in Heathrow, UK. QUESTION: "When I plug in the supposed Heathrow address of TVI Express into Google Maps, it comes back as being INVALID. 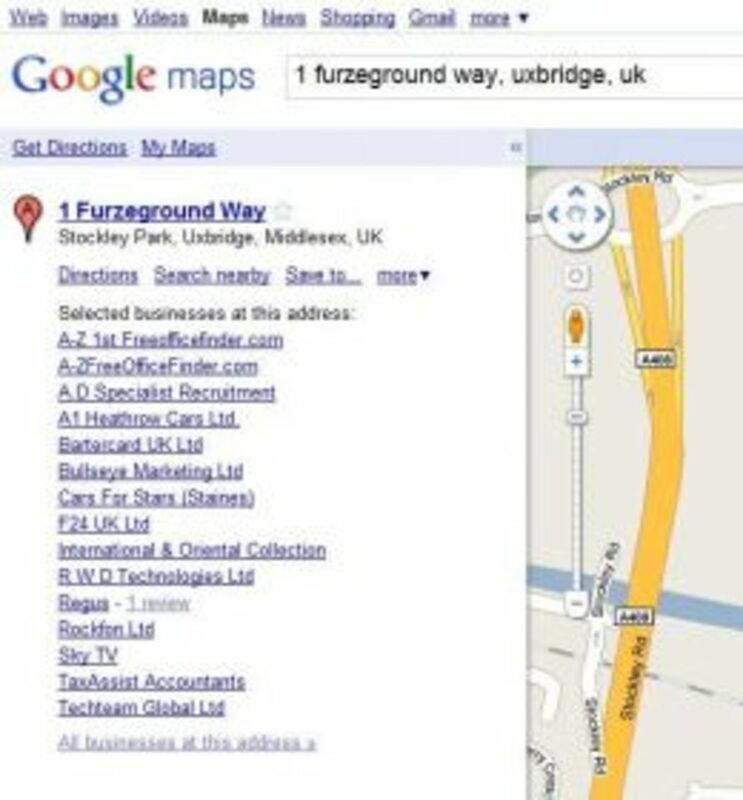 Google Maps says the address is in Uxbridge, NOT Heathrow. And that’s 15.6 miles from London. Why does TVI Express still claim to be based in London?" WARNING: There is no logical explanation for this, so your question will likely be dismissed. They may bring up some irrelevant info like "TVI Express only moved recently, and they haven't updated their website yet." The fact is TVI Express moved out of London probably back in July or August 2009, but they NEVER changed their website. WARNING 2: Some weasels have attempted to explain the discrepancy by claiming the definition of "London" is flexible, and London actually refers to all the nearby cities as well. 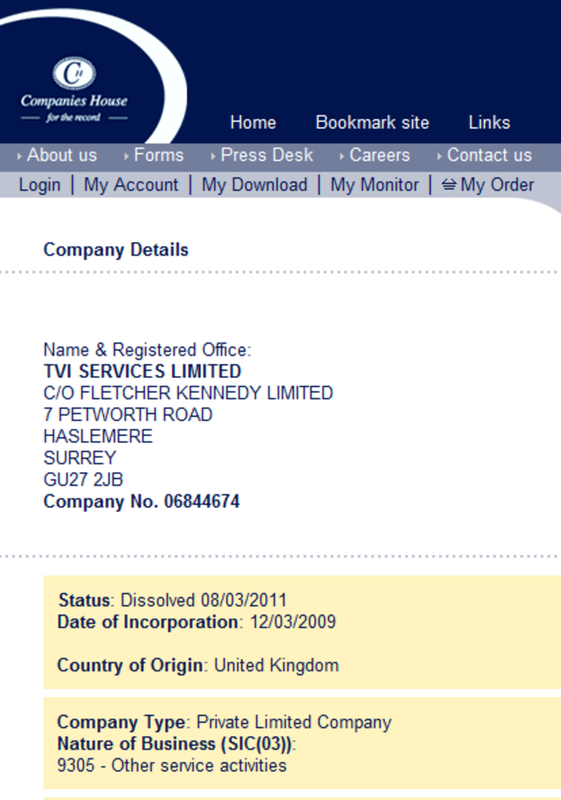 UPDATE 1: In March of 2011, the only company with a similar name, called "TVI SERVICES", was dissolved in UK. UPDATE 2: In May of 2011, TVI Express removed references from its website that claimed it was "headquartered in London UK". It now only claimed to be "international conglomerate". However, it is STILL using London UK phone number and UK address, even though they have NO proven legal presence in UK! How many businesses share the same address as TVI Express in Uxbridge? See for yourself. QUESTION: "Why does Google Maps UK also shows at least FOURTEEN other businsses at that exact same Uxbridge location, again, no room number difference, no suite number difference, but the exact same address? Again, the simplest answer to me is that it is also a virtual office. However, again, I want to hear your explanation." FOLLOW-UP: If I search for TVI Express in Google.co.uk, I find the old 55 Bryanston St. address. 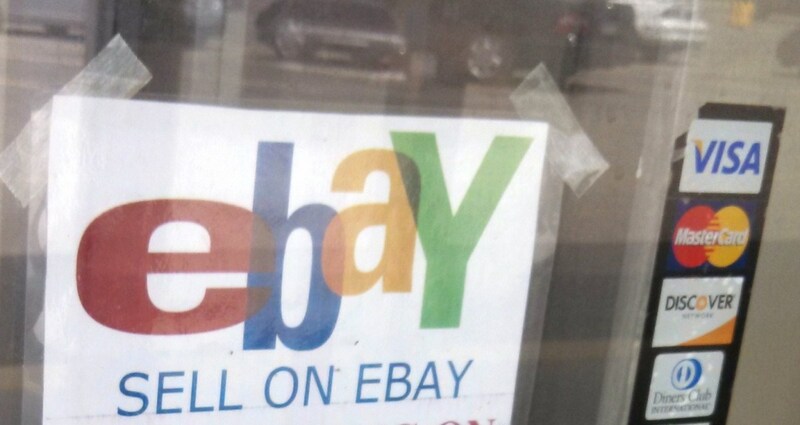 The listing says "owner-verified". Why has TVI Express not updated the listing to its Uxbridge address, if it was able to verify the old address? WARNING: There is no reasonable explanation for this. If they mumble some answer like "rapid expansion", "temporary space" or something of that sort, they are bull****ing you. QUESTION: If TVI Express is headquartered in the UK, under what business name is it registered in the UK? If they answer "TVI Services", have them check on CompaniesHouse.gov.uk (the official UK business registry), you will find that TVI Services (based in Surrey, not London), was dissolved on 08-MAR-2011. And there are NO other companies named close to "TVI" or "Travel Venture". Clearly, TVI Express is NOT headquartered in London UK, or in UK at all. In fact, if you check the WHOIS domain records for tviexpress.com, you will find that the registrant is none other than Tarun Trikha, and the address listed is in Bangalore, India. Page 133 from the book by Randy Gage, most of the "expert watch" are copied from here and the next page. "Expert Watch", or fake endorsements? QUESTION: What are the relationships between TVI Express and the people named in “Expert Watch”, namely Warren Buffet, Bill Clinton, Robert Kiyosaki, Donald Trump, and so on? At first glance, it appears that they are endorsing TVI Express, but upon closer reading, they seem to be endorsing the network marketing concept in general. WARNING: Many claim that Warren Buffet has invested in TVI Express. Is it because TVI Express has misquoted Mr. Buffet, therefore creating the impression that Mr. Buffet invested in TVI Express, with the quote "best investment I've ever made"? 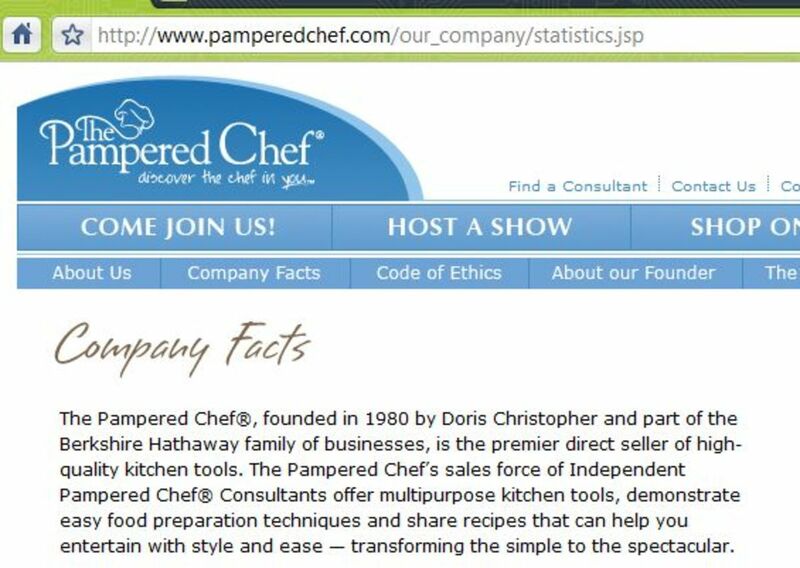 Mr. Buffet was obviously referring to companies such as Pampered Chef, which IS owned by Berkshire Hathaway. So is the misquote intentional? If the uplines claim that there was no misquote, perhaps you should make up your own mind. In fact, most of the "expert watch" citings were plagiarized from the a book published in 2005-2006 by Randy Gage. A page is reproduced to the right. 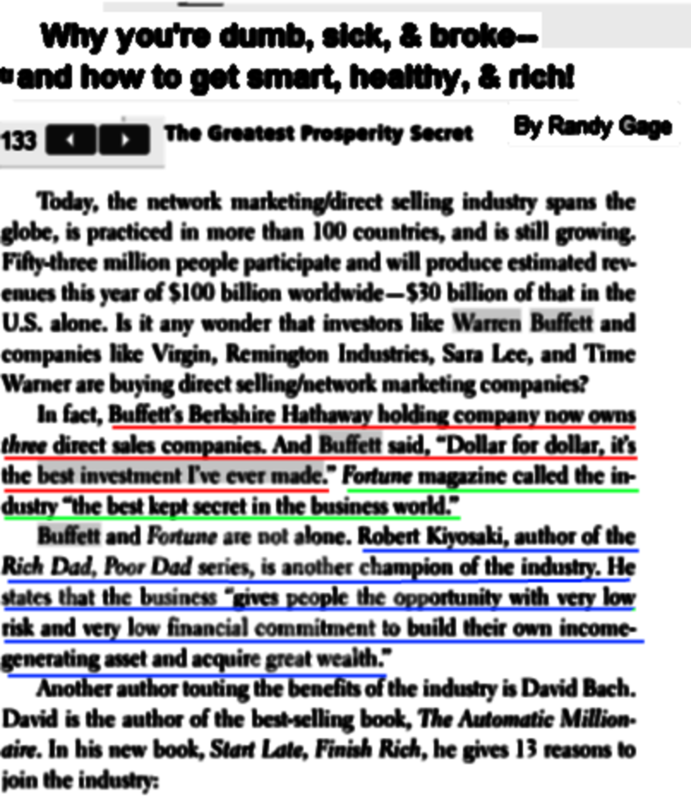 You'll recognize the quote attributed to Warren Buffett, among with quotes from Fortune Magazine, and Robert "Rich Dad" Kiyosaki right on this page. The next page have even more. You can find this book on Google. QUESTION: "When was the offer of 5-star 7-day 6-night accommodation downgraded to “3-5 star”? Why is there no mention of this downgrade on the TVI Express website?" FOLLOW-UP: Can you also explain why is TVI Express now charging $150 USD to redeem this package? "Cost per booking is $150 USD globally"
WARNING: If they claim it's "taxes and processing fees", ask them to explain why that would amount of 40% of the original cost ($150 fee out of $250 joining fee). Furthermore, ask them to show you WHERE exactly did TVI Express say they *could* charge such thing. All 100+ hotels are in or near India. TVI Express never announced any hotels available for booking outside of India and nearby countries. QUESTION: Where can one find a list of properties available for the certificate redemption? So far the only list that’s available for reading lists about 100 or so properties in or near India only. Did they not promise 'around the world'? QUESTION: What is the annual sales revenue of TVI Express? TVI Express claims to pay out 72% of sales revenue as commission, as quoted from the “Compensation” page. If TVI Express doesn’t publish the figure, how would any one know if their claim is true? It has been more than one year, so they do have an annual sales figure, yes? FOLLOW-UP: Their own FAQ says that there is no sales required. Therefore, shouldn't the sales figure be zero? QUESTION: Do you get $10000 + $5000 eVoucher upon cycling out the express board? Why does TVI Express website no longer list the $5000 eVoucher as a benefit of cycling out? Why was it changed? Were the members informed of this change? Why is there no announcement for this? EXPLANATION: Apparently Tarun Trikha claimed in a conference call that the $5000 is for some yet-to-be-held group event. In other words, if there are no group events in your area, that $5000 e-voucher is worthless. QUESTION: Why does the board, the “2×3 matrix”, exactly matches the 8-ball scheme, as given in Wikipedia? No matter what you call it: matrix, board, or pyramid, it is the same structure. Why is the board NOT a pyramid scheme? QUESTION: Why does the “board payout” explanation, directly pulled from the TVI Express FAQ, fits the definition of a pyramid scheme as given by E.U. Unfair Consumer Practices Directive: Black List (which, BTW, became Cyprus law in 2007)? Why does it also fit California Penal Code regarding “Endless Chain”, and American FBI definition of Pyramid Scheme? Do not let them offer some some explanation that do NOT involve quoting the actual laws and such given. What some uplines did was to quote some "other" definition of pyramid scheme, and try to prove that TVI Express does not fit that other definition, which does not prove anything. QUESTION: TVI Express claims to be subject to Cyprus and Indian law. Can TVI Express explain how they are complying with "Prize Chits and Money Circulation Schemes (Banning) Act, 1978? If they are, why did they gave refund to thousands of members in Sikkim, India after investigation by police? Why is TVI Express under investigation in many countries? QUESTION: Why is TVI Express under investigation in various European countries, including Hungary, Tajikstan, and Georgia (the country)? Hassle-free and legitimate across the globe, huh? QUESTION: "You claim that TVI Express is a “hassle-free, legitimate business all across the globe” on your "overview" webpage. 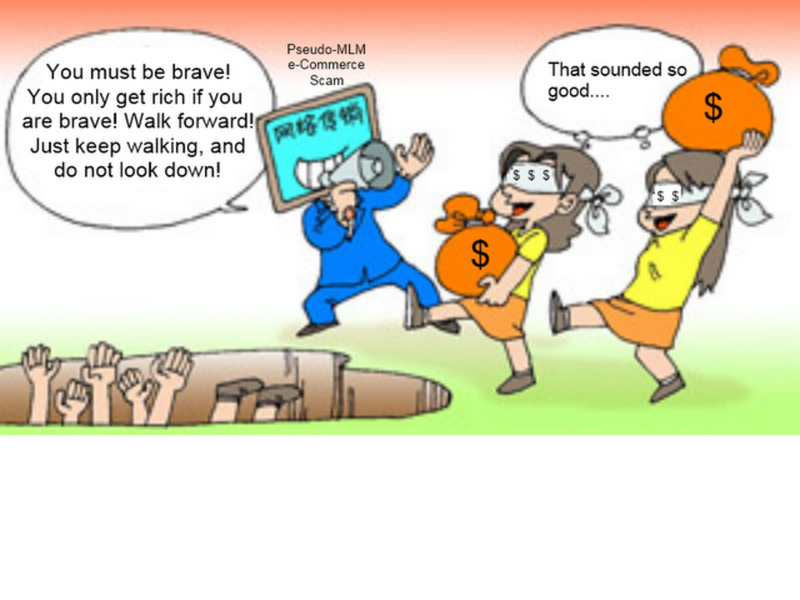 Can you explain why Chinese newspapers are reporting that TVI Express is NOT a registered Network Marketer in China and at least five cities in China are reporting arrests of TVI Express members as engaging in pyramid scheme fraud, with three CONVICTED AND SENTENCED to prison for consumer fraud: running a pyramid scheme?" WHY ASK: China is either the 3rd or 4th largest nation in the world by area (Russia, Canada, then either US or China, in that order). If it's illegal in China, it's hardly "across the globe", is it? QUESTION: I can't be the first person to ask these questions. The company has been around for over a year. Does any one speak for TVI Express? Where are some OFFICIAL announcements on all these concerns? Legitimate Network Marketers like ACN, Amway, etc. have a website to explain how it is NOT a pyramid scheme. I’d have thought that TVI Express should have one, given its resemblance to one? Does TVI Express compliance officer have anything to say? Does TVI Express even HAVE a compliance officer? These questions will NOT make you popular at a TVI Express meeting, but they must be answered, as this deals with the legitimacy of a company you are investing in. MANY shills out there are advocating "just take a chance! It is only $250!" However, even $250 is not an amount to be thrown away, esp. in this economy that is barely showing signs of recovery. These questions are your basic "due diligence". If nobody can answer these questions to your satisfaction, then this company is NOT worthy of your investment. Learn how TVI Express used 10 Secrets of Effective Liars to further their scam, and how you can avoid being taken by liars. TVI Express is an international scam that relied on lies and vagueness to mislead its own members about its legitimacy, and it has not behaved reputabl, and continued to allow its members to lie. Learn what their members will never tell you. Myths about TVI Express, an international scam, are plentiful, and five of them will be busted here. Some are lies from TVI Express itself, some are intentionally caused misunderstandings, and some are invented by members desparate to recruit you. Innocent people due to lack of knowledge,lack of iq trusted on their up lines lost huge amount in India as well as in abroad . Investigation companies are working and Tarun trikha Master mind and his entire team I.e mr talwar ,mr Sharma mr kapil goyal all will be behind bar. I recently joined tvi express, the problem is, i didn't even bothered to research first about the company. I really hope they pay me up before anything goes wrong. Thanks for your informative blog! @Faris -- the problem with that claim is you can't see that pyramid schemes will pay some people (i.e. you) and is still a scam. TVI Express is already banned around the world. Besides, MLM is banned under Shariah law. Didn't one of your fellow TVI-ites issued a FAKE FATWA in Saudi Arabia recently? @Puzzle me -- there is supposedly an office in Philippines for TVI Express. Maybe you need to visit there AND get confirmation from the hotels that it has indeed been paid for and all that. Oh my God! I am an inactive TVI member and want to use my vacation package. I already deposited money for hotel tax and services and yet the booking portal is under upgradition. I'm leaving for Manila Dec 7. I'm afraid, maybe I sleep under a tree? @karimadon -- Maybe I should ask "Pac-Man" Pacquiao to get involved. @harmonics -- that's what all scammers do: when they run out of explanations, they tell you to ignore the problem signs and focus on the positive, and they claim this is "motivational". Makes you wonder what are they trying to hide, hmmm? I find the review about TVI very relevant. Thanks to you kschang. I was also told to ignore the negative comments written or said about the company, but to me that doesn't make any sense. The amount that I was told to invest is REAL money. Now, instead of giving a legitimate explanation of the negative comments or issues raised about the company equating it to a scam, the only thing they could say is ignore it. Its hard to lose money, but it is hard for me more to lose my common sense and play the moron. This is very disturbing. I hope just one senator of the Philippines will read your blog, so that they'll be able to feast on this issue until they recess for the holiday season. That way this is going to be so sensational, TVI will be put out of business. @waone -- if you are able to refute MY position by attacking my EVIDENCE, please go ahead. But instead, you choose to attack me by suggesting I have other motives. What that suggests is you don't HAVE anything to refute what I say. Thus, you are irrelevant. And that's the SECOND time I've said it. Do I need to explain it in baby words, or is your English COMPREHENSION also a problem? yes my english was bad... so what? you answer your own question from your viewpoint then why you protest my opinion about you, just give me the evidence that you didn't used TVI popularity for your own sake... so who call IRRELEVANT? you always call everyone that opposed you is IRRELEVANT... Than you IRRELEVANT also!! @waone -- why don't you learn how to spell "motive"? As you can't attack my cited facts or my viewpoints, you choose to attack me instead. I am NOT using my reputation and history to justify my viewpoint, so my reputation and identity is NOT relevant to whether TVI Express is a scam or not. Instead of providing some answers to the 16 questions, you choose to insult me. YOU ARE IRRELEVANT. Here's real news you can verify yourself, some of which was published in August 2011, and I'll have more updates. You're welcome to post your explanations and/or rebuttal. I'll publish them and my rebuttal of your explanation. i reviewed these 16questions you have and as i assessed them you have no basis..your evidences are weak and somehow are by your personal opinions/views..even your links does not exist and mostly are authored by you? show to me the news that indeed from a reputable source that can show that there were being jailed and any court orders were issued because of TVI misconducts..all these are just heresays. @zyd -- because I am NOT using my reputation to prove my point, thus my identity is irrelevant. The facts I used stand on their own. If you wish to disprove them, please provide evidence. Else, your insistence in raising irrelevant issues (such as my identity) would indicate you are trolling. 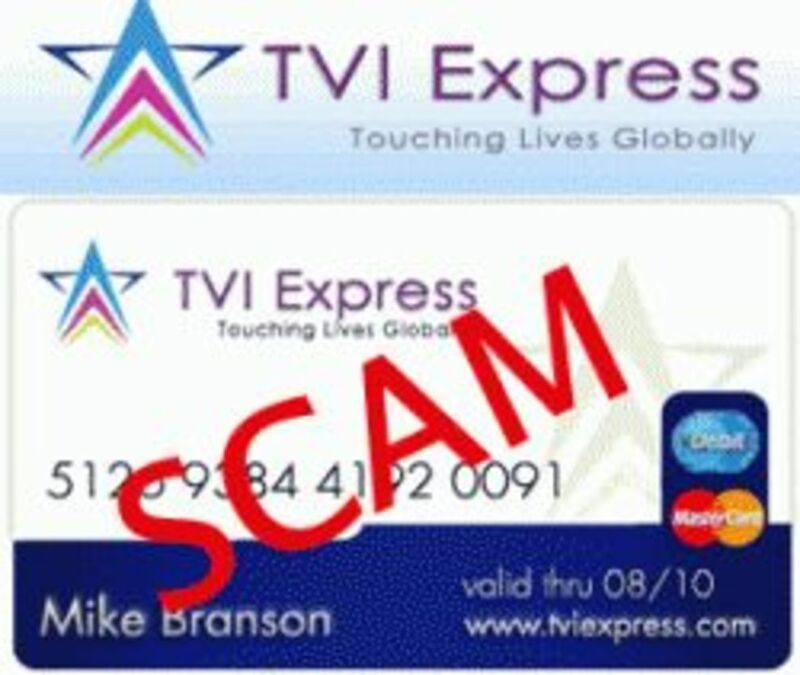 TVI express is a scam, illegal and deserve to be expose, then why you cant expose your profile when you believe your a patriot or good Samaritan preventing people to be a victim of this scheme? even just a pic on your profile..unless your hiding from something????!!! @jane -- you can't attack my reasoning, logic, or evidence, so you choose to attack me instead. Only proves you have nothing to back up your view. Fraud is illegal, and deserves to be exposed, enough said. kschang, why are you doing this? what's your purpose/objective? or Did you have bad experiences with TVI? you seemed to be very well versed with all those information..
do you feel happy whenever you had stopped someone from joining to TVI? and in return,were you able to help anyone attain financial freedom? or even offered an alternative/option for those people who has no food on their tables..just earning enough from their hand to mouth consumption..
What can you say to those people who indeed enjoy the compensations they got from TVI? like they were able to buy their houses,cars and have gone to their dream family vacations...should they be put to jail for getting that reward from TVI,if they're indeed operating illegally? Thanks and all the best to your endeavours! @anonymous -- Thank you for your honesty. I have written an article on how "avoiding negativity" taught by these coaches are cult tactics used to indoctrinate people. Good thing you didn't fall for the trick. You may want to let others know. Don't say anything bad about TVI Express. Just explain to them how shady the "coach" is. Once you break that control over the members, they will seek out info on their own, like you did. I became a member of TVI last June.. But when I attended the orientation on the 3rd week.. The speaker spoke something about the negative things that we would find on the net.. He said that we should/must have to ignore it.. That time I decided to read articles about TVI.. It took me hours in reading your commentaries and I decided on that moment that I should not endorse it to other people.. I do believe that it is a pyramiding scheme..
@andre Manamela -- I am very distressed at the lack of common sense displayed by South Africans when even their own newspaper pronounced TVI Express a scam and had gone "belly up". If people chose to spread the truth, good for them. If you think I made a mistake, correct me. Falsely attributing "sour grapes" to me will not help you. you sound very distredess and mixing your issues yourself. dont think i'm a member of tvi. commeds from people like you and being posted on a tvi namesake take like sour grapes. myself as a web server dont need comments such as yours. you are defeating your ow npurpose of marketing the netwkro marketing concerpt. thank you. @arvind - Your insults merely indicate your lack of knowledge, as you cannot provide any answers to these simple questions. Did you not know that police in Sikkim forced TVI Express to give 6000 refunds back in March 2010? @il -- who are you calling stupid, potty mouth? Go learn some grammar, capitalization, and spelling before claiming to be a lawyer. MLM is evolving too fast for laws to keep up. Add virtual anonymity of Internet, and International operations, and a scam can continue for a long time. TVI Express had no substantial product to start with, and it is AMAZING how so many people would believe in a company that sells nothing of substance, and instead, invent explanations just to snag a few more recruits. Great post. I'm tired of these illegal recruiting schemes claiming to be legit MLM and ruining things for us real network marketers. Fortune Hi Tech Marketing is another one that I wrote a review about. Oh, of course, anybody can say anything. I merely lay the proof in front of people. It is up to them to study the proof and believe the conclusion. Remember, a "victim" must *want* help. It is their right to NOT to be helped. they say that anybody can say anything about anybody with internet. if you start to convince people that will be your lifetime job. TVI Express denies being an investment scheme at all. They promised refund back in March 2010. Wonder what happened to that? Yes, there are quacks and hacks and frauds everywhere. They prey upon the weak, the ignorant, the desperate, the poor. They are the scum of the earth.